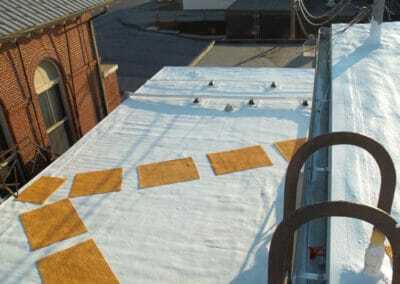 Polyurethane foam roofing saves you money initially, as well as provides savings for the life of the roof. 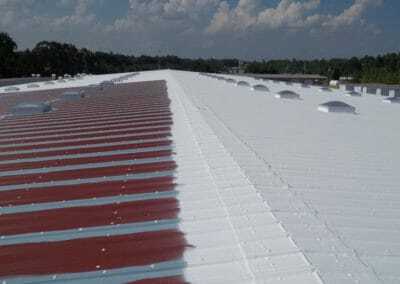 Immediately, you avoid the cost of a total replacement of your roof, and the energy costs of your commercial property are significantly reduced over time. In the long run, you incur no expenditure for leak repair or maintenance. You also extend the life of your existing roof by avoiding the cost of roof tear-off and replacement. 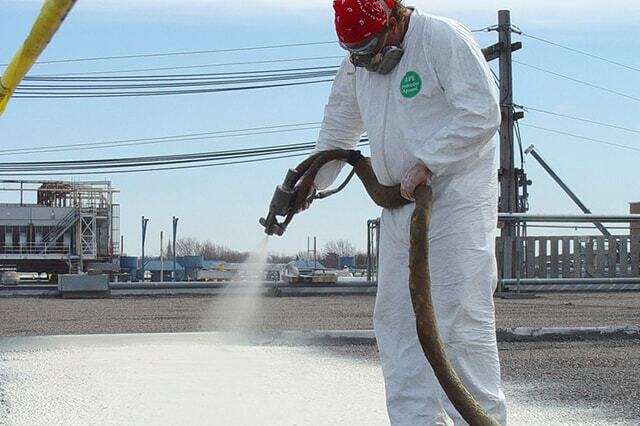 At Skyline Roofing, we offer polyurethane foam roofing installation for a number of applications. We would be more than happy to provide a free estimate on the installation of this product. Call us or contact us online with your questions. Your existing roof is cleaned to remove dirt, corrosion, and other unwanted elements. An inch to an inch and a half of foam is applied. A top coat is applied to the new surface. The biggest initial savings is seen with the elimination of the need for tear-off and disposal of most old roofs. 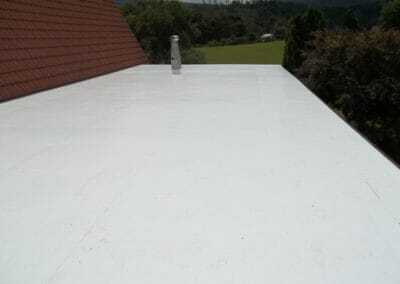 Polyurethane foam roofing is applied directly to your existing roof, which has been specially prepared. Installation is faster because there is no tear-off, which keeps labor costs down as well. Home and business owners appreciate the lack of disruption and noise compared to roof removal. Plus, foam requires no metal flashing to be installed in places where the roof meets the building (though we sometimes do specialized caulking where needed). As a long-lasting roof with big-time savings, our polyurethane foam roofing comes with a 10-12 year warranty and, of course, it will last even longer. If your goal is to delay roof replacement, polyurethane foam roofing can help you budget for the entire replacement project later. If you’re interested in a "green" upgrade, your polyurethane roof will be in place long enough to pay you back in utility savings. A standard single-ply roof has hundreds of feet of seams and hundreds of fasteners. Unfortunately, both can leak. 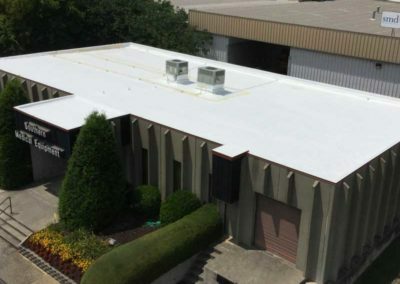 Polyurethane foam roofing is virtually leak-proof because there are no fasteners or breaks in the coating, meaning there are no places for water to seep through. Plus, the sprayed coating dries to what is called "closed cell form," which means if a tree fell in the storm and breached the coating, any leakage would remain localized. Polyurethane foam roofing has 85% reflectivity, which means it bounces away much of the sun’s energy. The efficiency can pay for itself in 4-7 years with lowered cooling costs. It forms a seamless top-grade insulation of your building that keeps out summer heat and negates heat loss in winter. At Skyline Roofing, we use ENERGY STAR rated products, giving you the potential of claiming tax benefits when you retrofit an existing roof. If hail or falling branches cause damage to the polyurethane foam roof, it can easily repaired and restored. Foam is lightweight so it generally does not exceed the load capacity of your structure. It adds tensile strength to your building.